A father living in rural Philippines was curious as to where his son was going every day for two weeks, so he decided to follow him. The son had been leaving the house every day for the past two weeks and this truly confused his dad. What the father discovered was completely unexpected, upsetting, heartwarming, and very emotional. 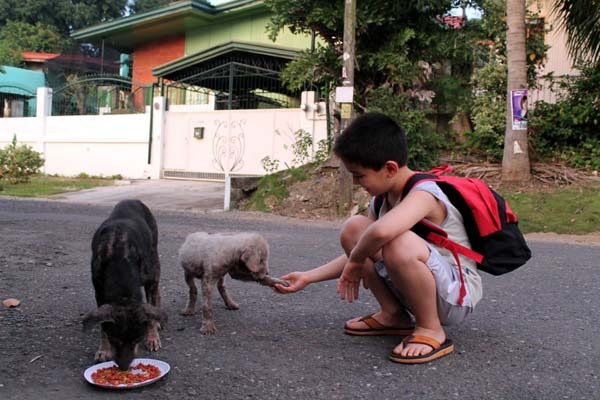 During those two weeks, his young son was actually feeding stray dogs he had discovered on his walk. 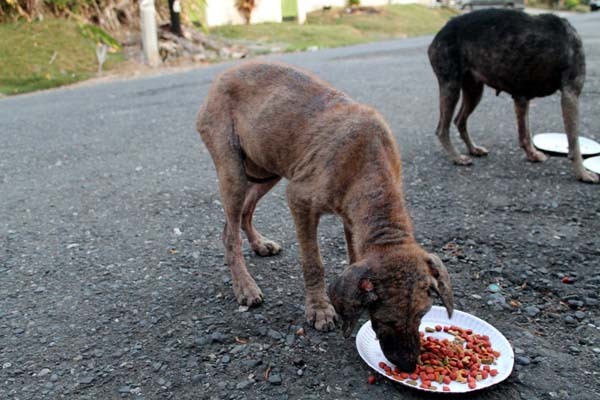 The dogs including the puppy were literally starving and seemed to have mange. The dogs were a bit afraid when you tried to approach them, but the puppy acted a bit friendlier. 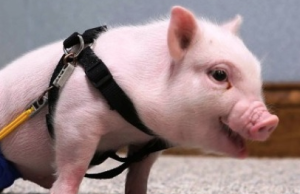 What was amazing was the puppy even knew how to shake hands! 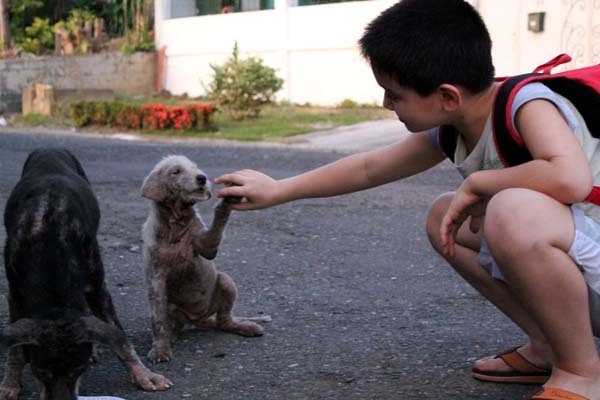 Since the dogs and puppies looked ill, father and son were being careful to clean their hands thoroughly after interacting with the dogs. 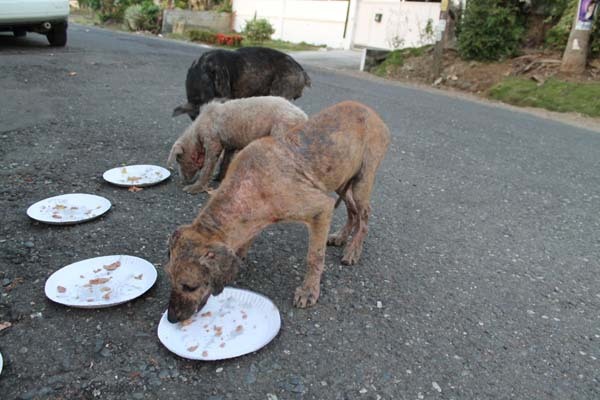 Maybe someone that sees this post can help these dogs become healthy and rid them of mange or donate to help the cause. The father stated he thinks Blackie is the mother. She is ill as well and needs help. 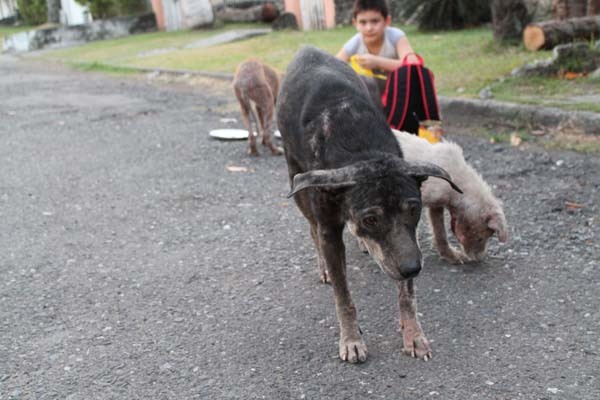 However, even in her bad shape she stays close to the others. 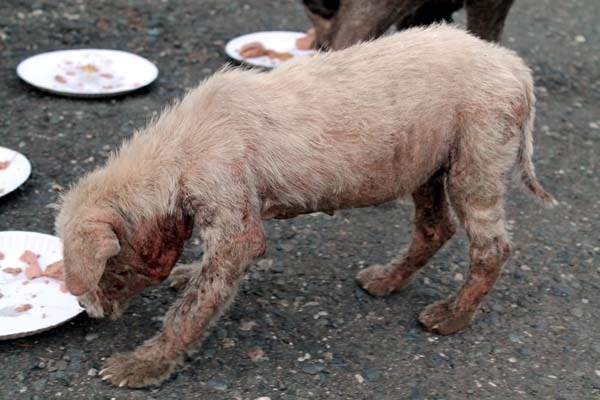 Mange is a skin disease found in many mammals caused by parasitic mites. The puppies look to have sarcoptic mange that is due to canine scabies. 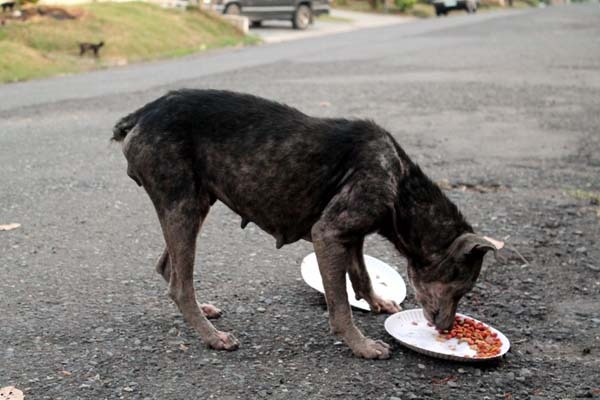 If this is a correct diagnosis, it is highly contagious, so the family caring for these dogs is being very careful not to carry the disease back to their own pets after visiting this family of strays. 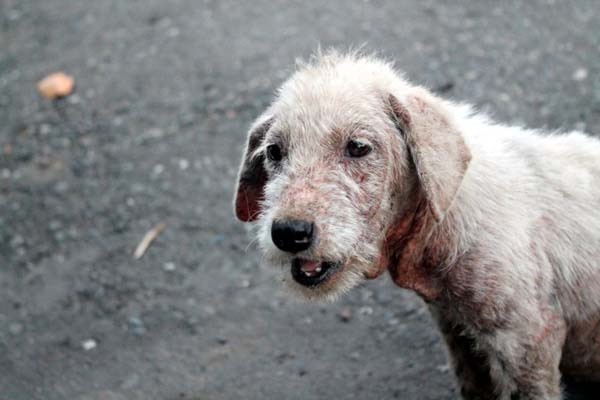 The good news is that mange is treatable. This is what heroes are made of; the love and kindheartedness of this father and son go above and beyond. 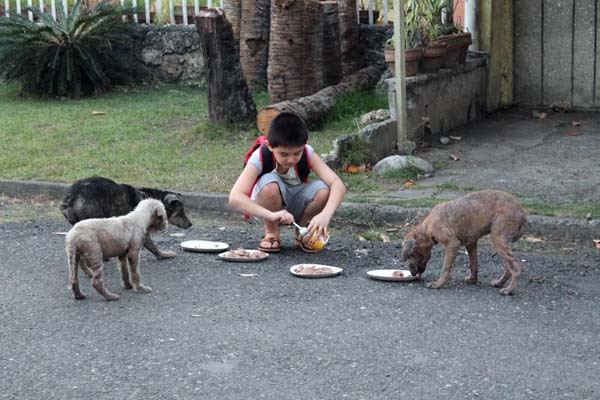 To help this young boy save other strays please visit his page and donate at Happy Animals Club. ← Previous Story Cute Cabin Right? Maybe Not. Check It Out You Will Be Shocked At What You Find. Next Story → 26 Tips to Live Longer – Check Them Out And See How Easy It Is To Live Longer.